I CANT buy a Soloist SL1 Custom made !!!! Thread: I CANT buy a Soloist SL1 Custom made !!!! I have selected the shape and filled the corresponding Custom Select Order Form. In the Custom Paint & Graphics section, there is a list that only allows you to choose from certain number of colours and Graphics, the one I want (Sunset Graphic) is not available to choose so I choosed a Black one. 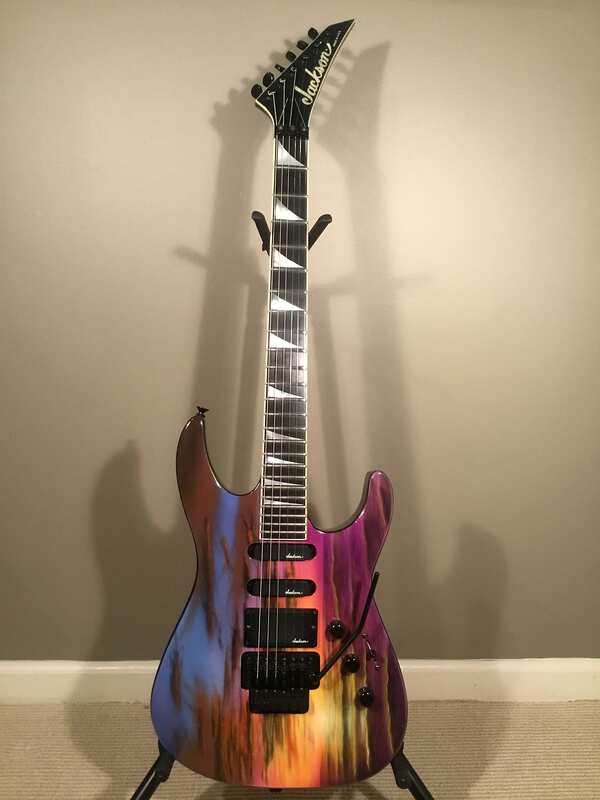 I sent it to Matts Music (Jackson Custom Shop Showcase Dealer) and they said they were in contact with Jackson, and the said they lost contact With the guy that used to paint that Graphic, and they will no longer paint guitars like that. Am I wrong? you can choose any painting you like even if it has never done before, as long as you have the money t pay for it. So I can ask jackson Custom Shop just to build the guitar with any painting? Who is Dan Lawrence, how can I contact him??? Jackson won't build a unpainted guitar. Dan and Kim Lawrence own and run GMP Guitars and both are some of the sweetest people you will ever meet. Not to mention that Dan has painted more famous and iconic guitars than anyone else. He has painted a few of mine and his work is plain AWESOME to say the least! He is my one and only go to painter! Half joking: Buy this (https://www.jcfonline.com/threads/15...L1T-(CAD-1000)) and send it to Dan to refinish. Dan has painted guitars for Jacksons since the '80s, though I'm not sure if he's still involved with them. I expect more than a couple of those classic graphics were his. His wife told me he was responsible for the Lightning Sky graphics for many years. That's one of my favorites. I second this. You can find a good, used SL1 and have Dan repaint it. In the end it will be a lot cheaper than going through the Custom shop or Custom Select and it will likely be done quicker too. Dan has painted a bunch of my guitars and his work is awesome. Dan was doing a run of Dimartini snakes for Charvel just recently. Yeah, Dan still does graphics for Jackson, including the bengals which was a bit of a surprise because I thought they'd brought the more basic stuff in-house..
Keep an eye on reverb, they come up regularly. This one looked pristine like a time capsule.